As a trial attorney, Attorney Christopher Kendrick tried 12 cases to jury verdict last year and consulted and worked on hundreds more. Out of those 12 cases, Mr. Kendrick obtained: six acquittals, four split verdicts, one hung jury, and one guilty verdict, in county court. 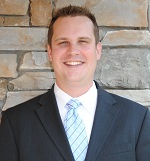 ﻿ Christopher prides himself on his ability to actively listen and, respond to, the needs of his clients. He is well aware that there is no one-size-fits-all approach to the law. Each client is different. ​ While at the Colorado State Public Defender's Office, Mr. Kendrick developed a reputation for aggressive and successful DUI and misdemeanor criminal defense. Through that experience, Christopher honed not only his trial skill, but also honed his ability to ensure that the District Attorneys are held to the high standard of proving their case beyond a reasonable doubt. ​ This particularized skill set allows his clients to benefit, not only from the ability to confidently take a case to trial, but also to negotiate from a position of strength with opposing counsel. ​ Christopher Kendrick My Philosophy ﻿ As a trial attorney, I am most comfortable in the court room, fighting for my clients. Through thorough case analysis and preparation, I am adept at both skillful negotiation and trial. ﻿I make sure that my clients are well-informed and aware of every step of the process in their case. I will never try to force a client into a plea or settlement in which they are not comfortable. My goal is to ensure the best possible outcome for my clients while protecting their rights as an accused or as a parent. ​ ​Memberships American Bar Association Colorado Criminal Defense Bar Colorado Bar Association Denver Bar Association Colorado Trial Lawyer's Association ﻿Undergraduate Christopher Kendrick graduated from the University of Colorado with Distinction. During his coursework, he had the opportunity to complete an externship with Senator John Evans, of the Colorado State Senate, working with him to research issues in preparation for legislation in the area of Higher Education in Colorado. Christopher Kendrick graduated with a degree in Political Science and History. ​ ​Juris Doctor Christopher Kendrick graduated law school from the University of Denver, Sturm College of Law. During his coursework in law school, he obtained an internship with the Colorado State Public Defender's Office for nearly two years, during which time he took several cases to jury trial and handled many others. After completing his internship with the Public Defender, he rounded out his legal experience at a small boutique personal injury firm and one of Colorado's premier medical malpractice firms. During his tenure at the boutique personal injury firm, Christopher Kendrick, utilized his prior high-level information technology experience to streamline the firm's operational efficiency by replacing the firm's paper file system with a paperless technological solution.